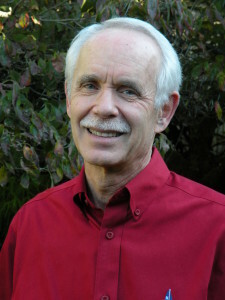 I am sometimes asked how I write my novels: whether I begin with a detailed outline or synopsis, or I simply take a general idea and run with it. The truth is that I do a little of each—I make a not-so-detailed outline of my ideas and then begin and let the story, and the characters, develop as I go. When I began writing my first published novel, Made in China, a political thriller in which all of those goods that are “made in China” (meaning almost everything) are suddenly unavailable, embargoed by a hostile Chinese government, I originally planned to have two protagonists, one male and one female. (This, of course, makes for easy creation of love interests, sexual encounters, role reversals, and so forth.) The male protagonist, Jack Conway, a systems engineer, is living with his “significant other” Annie when he loses his job due to a takeover by a Chinese conglomerate. He ultimately catches on with another company following an interview with its personnel manager, Linda. Annie was to be a “partner” of Jack throughout the book, whereas Linda was just a minor character passing through. But when I came to writing the scenes involving Jack and Linda, I found that I liked Linda more than I liked Annie, and that Jack had more in common with Linda—that she would make him a stronger and more interesting partner—than Annie. Annie also seemed to offer a much more limited scope for development than did Linda. So I altered the plot, wrote Annie out after a brief appearance (she leaves to enter a post-grad program across the country), and offered Linda the position of female protagonist. She accepted and we never looked back. My characters in Mrs. Kaplan and the Matzoh Ball of Death developed somewhat differently, but still in many ways unexpectedly. I knew when I began the novel that Mrs. Kaplan’s best friend (and fellow retirement home resident) Ida would be narrating it and act as Dr. Watson to Mrs. K’s Sherlock Holmes. I knew the two ladies’ approximate ages and personalities, in part because they are an amalgam of many such women I have known, including both my and my wife’s grandmothers. But despite starting with this familiarity, I didn’t really know what kind of people they would prove to be when confronted with the kinds of unusual challenges I had in store for them, such as Mrs. Kaplan being suspected of murder. I only found out for sure when I reached those points in the story. And even after I had written the final (I thought) draft, my editor suggested that perhaps Mrs. Kaplan and Ida might themselves stage a burglary that I had written for two much younger women. I didn’t know how that would play out, but when I had let it percolate a while, considered what I now knew about them that I didn’t know when I began, and finally wrote the scene, I found they handled it quite well, adding an extra measure of humor to the story. 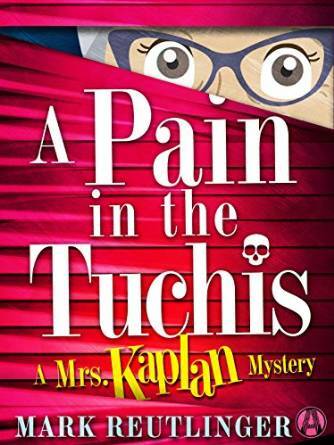 This entry was posted in Book Tour and tagged A pain in the tuchis, cozy mystery, Mark Reutlinger, Michele Lynn Seigfried. Bookmark the permalink. ← Community Affairs, a Mystery & Mayhem Finalist!